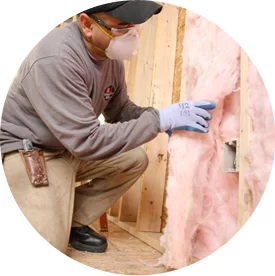 Fill out the form in the sidebar or give us a call at 800-836-2535 to schedule your insulation project in the Chicago, IL area. ThermaSeal / Lakeside Insulation installs various materials—from spray foam to fiberglass and more—and can help you determine the right insulation solution for your garage space. If you need more insulation for your garage and/or home in the Chicagoland area, make ThermaSeal / Lakeside Insulation your first and last call. We offer the knowledge, experience and resources that few companies can match. No matter what type of insulation you need for your garage, you can rely on us for on-time, affordable installation. Contact us online or by phone at 800-836-2535 to schedule your initial consultation. We look forward to working with you!